How can you tell if a historical mystery is going to be as exciting and suspenseful as any futuristic technothriller? Well, if it’s crafted by Thriller Master David Morrell, you can count on it. 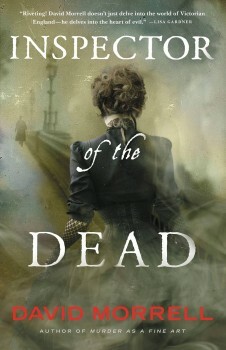 He proves that with INSPECTOR OF THE DEAD, brilliantly merging historical fact and fiction. Set in Victorian England, Morrell’s latest novel brings us eye-to-eye with a killer who targets the highest levels of British society. To battle this brilliant murderer, Morrell plucks one of the most sensational personalities from the 1800s and brings him to vibrant life. That protagonist is Thomas De Quincey, whose notorious Confessions of an English Opium-Eater, was the first book about drug addiction. Adding to his accomplishments, De Quincey created the modern true-crime genre. In his On Murder Considered as One of the Fine Arts,, he dramatized the first media-sensation mass killings in English history, the shocking Ratcliffe Highway murders of 1811. Morrell says De Quincey’s blood-soaked depiction of those killings hooked him into writing about De Quincey. In reality, there were eight attempts to assassinate Queen Victoria, and Morrell incorporates elements of those attacks into his story. De Quincey works with Scotland Yard detectives in the fascinating early days of crime-scene investigation, but even more interesting is the role played by his twenty-one year-old daughter, Emily, who provides an affectionate view of her opium-eater father, persuading readers to sympathize with him as much as she does. But writing from a female perspective can be a challenge for a male writer, and writing that character in a historical period is even harder, as Morrell says. A great thriller also needs a great villain, and for that Morrell again turned to De Quincey for inspiration. In his groundbreaking essay, On the Knocking at the Gate in Macbeth, De Quincey wrote, “In the murderer worthy to be called an artist, there rages some great storm of passion—jealousy, ambition, vengeance, hatred—which creates a hell within him.” Creating an emotionally complex villain became Morrell’s goal in INSPECTOR OF THE DEAD. Morrell, co-founder of the International Thriller Writers, has introduced dozens of fascinating characters since his iconic novel, First Blood was published in 1972. As explosively popular as Rambo became, and as influential as The Brotherhood of the Rose was to the spy genre, Morrell has seldom trod the same ground for long. He believes that careers can be shortened if authors stick with one thing. With a forty-three-year track record and other bestselling authors calling him the Father of the Modern Action Thriller, one might think he’s under a bit of pressure every time he sits at a keyboard. But Morrell isn’t tempted to take the safe path and stick to what worked before. 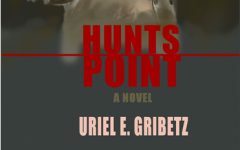 So, just as Morrell reinvented the modern action thriller four decades ago, he has now reinvented the historical thriller, and his readers proved they would follow him into the past when Murder as a Fine Art was published. INSPECTOR OF THE DEAD is another reward for their loyalty. 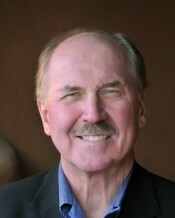 To learn more about David Morrell, please visit his website.